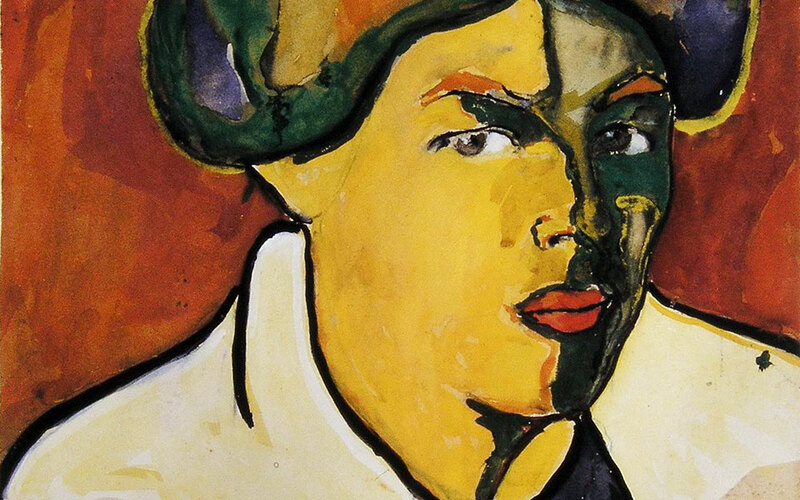 Detail from “Female Portrait,” Kazimir Malevich, ca. 1910–1911. Gouache on cardboard. Thessaloniki has some seminal collections of modern, avant-garde and contemporary art, thanks to some extraordinarily forward-thinking individuals. 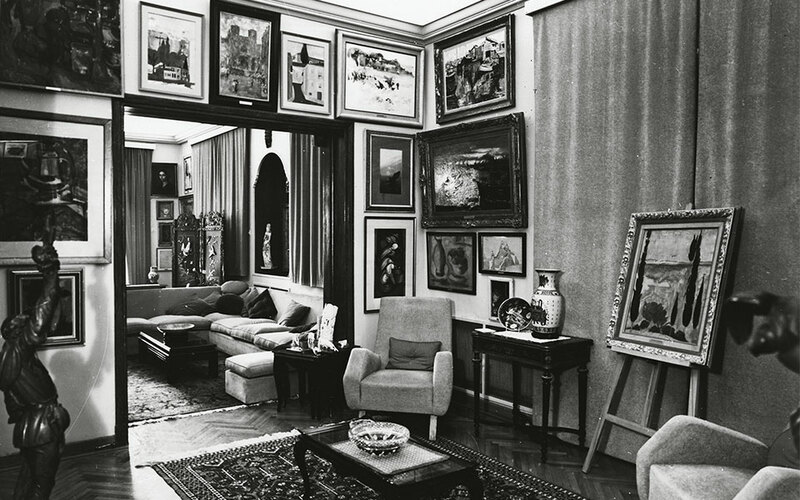 “In 1960s Moscow, there were two places that official state visitors wanted to see: the Kremlin and George Costakis’ apartment,” says Dr Maria Tsantsanoglou, director of the State Museum of Contemporary Art (SMCA), referring to the home of this dynamic, purposeful collector, who amassed a vast and comprehensive art collection. The apartment everyone wanted to visit comprised three modest rooms whose walls were covered with works of the Russian avant-garde; it was the only place where such a collection could be seen. A diverse crowd of intellectuals, artists, students and foreign visitors gathered nearly daily. Chagall came; Stravinsky came; a provincial school of art visited one morning and then, later that same day, David Rockefeller. In this contemporary salon, they would drink, engage with one another about art, and even break into song. George Costakis at his apartment in Moscow. 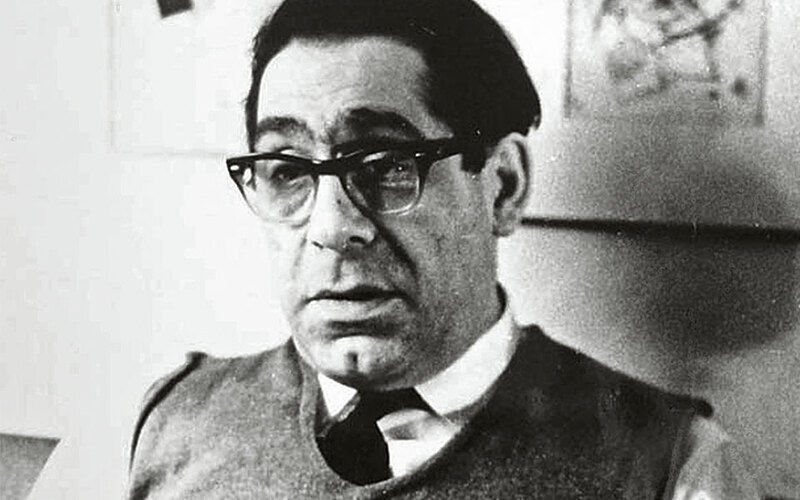 This venture was unprofitable; as Costakis later recalled: “Among the circles of collectors in Moscow I had the not-so-flattering nickname ‘the Mad Greek’ who collects useless garbage.” It was also risky; by the 1930s, socialist realism had become the sole acceptable form of artistic expression in Soviet Russia. As the Stalinist state began to persecute the avant-garde, works were hidden away, sometimes for decades, in closets and under beds. This lent urgency to Costakis’ mission. Piece by piece, he rescued works. He sought out sketches, correspondence, manifestoes, educational materials, posters and magazines, creating an encyclopedia of the avant-garde. The works that came with him to Greece are now in the SMCA. After a stay at Istanbul’s Sakip Sabanci Museum, the exhibition “Thessaloniki. Costakis Collection. Restart,” which celebrates his vision, will return to the SMCA in April 2019. “Story with a Chicken,” Martial Raysse, 1968. Oil and acrylic on canvas. Among the many captivating personalities of the 20th-century international art world, Alexander Iolas was unique. 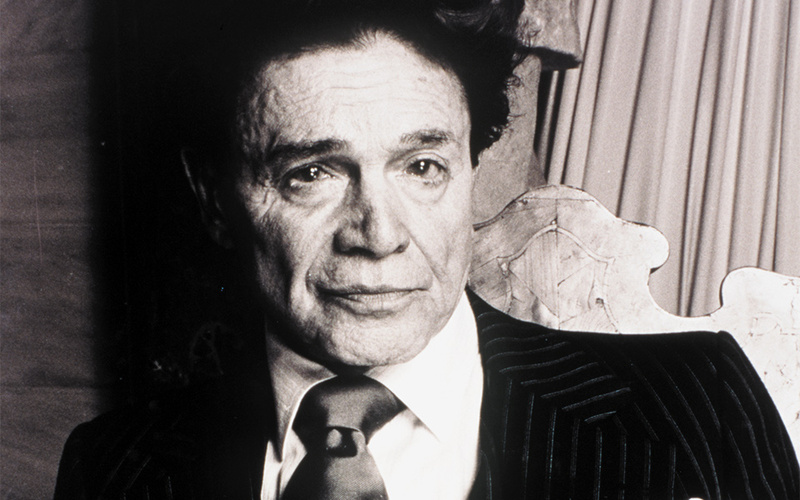 This charming cosmopolitan man had a clear vision, which he followed by discovering and representing artists who would shape the world of modern art. Today in Thessaloniki, this vision is being explored at the museum he helped found. Iolas’ story is intriguing from the very start: born in 1908 into a wealthy Greek family of cotton merchants in Alexandria, he left the Egyptian port-city for Athens in 1927, with a letter of reference from the poet Constantine Cavafy to pursue the discipline of dance. From then on, he’d find himself continually engaging with people of culture and intellect. He moved to Berlin in 1931, where he became acquainted with composer Kurt Weill and author Thomas Mann. In 1933, after the Nazis came to power, he left for Paris, where he acquired his first artwork – a piece by Giorgio de Chirico, who became a close friend, and formed acquaintances with René Magritte, Max Ernst, Man Ray, Raoul Dufy and others. He left for New York around 1935, becoming a principal ballet dancer there. He eventually stopped dancing due to an injury, and changed course; in 1945, he became director of the newly established Hugo Gallery. The gallery gained instant, enthusiastic recognition, as expressed in a review of the opening show in the New York Times: “The Hugo Gallery, dedicated to the avant-garde, has entered New York’s art-world roster … You have to just reject the rational, resist it like mad at every turn, and the magic will begin to work.” Some time later, he met Andy Warhol, stopping him on the street in front of the gallery to see what was in his portfolio – his sketches of shoe designs for the factory where he worked. Iolas arranged Warhol’s first solo exhibition – a series of drawings based on the works of Truman Capote. Iolas and Warhol would remain friends for the rest of their lives. Accounts of Iolas often refer to his notably arresting persona, his rare style and charisma: he was remembered in the New York Times for being able to reassure collectors “with his hierophantic manner, his often sensational mode of dress, and his mischievous and sometimes irresistible charm.” But he was also a person of substance who had meaningful relationships with the often prominent artists he represented, collaborations that contributed to their creativity. 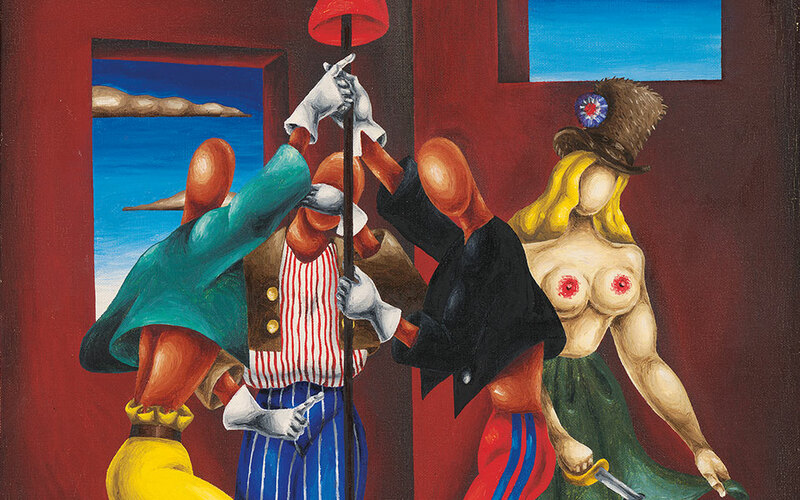 Some of his friendships were marked by significant acts, such as closing all his galleries – except the one in New York – after the death of Max Ernst, in fulfillment of a promise he had made to him. 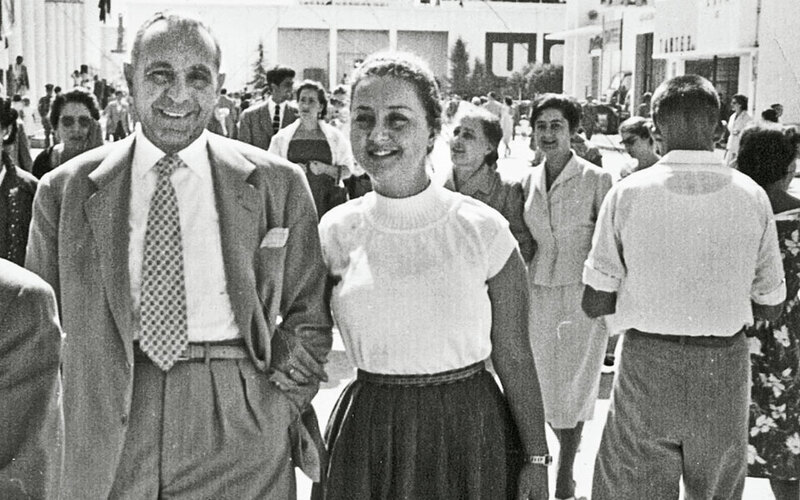 In Greece, he was pivotal in changing the country’s cultural landscape. After the 1978 earthquake in Thessaloniki, his close friend Maro Lagia proposed a dynamic response to the damage the city’s monuments had suffered: a center for contemporary art. Iolas had considered making a major donation to the Greek state but that ultimately fell through, making this entirely private initiative his only actual bequest to Greece. The almost 50 works that Iolas gave formed the core of the collection of the Macedonian Center of Contemporary Art (later the Macedonian Museum of Contemporary Art). Sharing this cosmopolitan perspective with the Greek public was pivotal. When the Macedonian Center of Contemporary Art opened, it was the only institution for contemporary art in the country. The MMCA’s exhibition “Alexander Iolas: The Legacy” celebrates an extraordinary individual, his collection and the sense of excitement and discovery he brought to art. Detail from “The Incorruptibles,” Nikos Engonopoulos, 1967. Oil on canvas. On the top floor of a building facing Aristotelous Square is the apartment of Nestor and Aliki Telloglou. Small groups visit periodically, by appointment. It’s a wonderful home, elegant in its modest proportions. The rooms are eclectically furnished, with rustic pieces mixed with mid-century modernism, and filled with wonderful objects: Chinese sculpture and Asian pottery (18th-19th centuries), Persian miniatures, and photos, souvenirs and mementoes acquired on the couple’s travels. It was and still is a place for lively engagement with art and culture. The paintings, hung floor to ceiling, have a tremendous presence. For Telloglou House tours, Tel. (+30) 2310.991.610, Admission: €5. Happily, they had the resources and skills to achieve this. Nestor came from a philanthropic background. His family had been merchants and bankers in Smyrna, and benefactors to their region before coming to Thessaloniki. Aliki possessed a rare sensitivity to art, and the determination to realize such a project. The foundation opened in 1999, after nearly three decades of effort. Community engagement is at its heart: theater, dance, music, and literary events, as well as colloquiums and symposiums engage the community in art and culture. A fantastic museum space hosts exhibitions of local and internationally renowned artists, including Miro, Delacroix and Toulouse-Lautrec. Parallel to this, selected works from the Teloglion’s permanent collection, which has a particularly strong focus on modern Greek art, are displayed at the Teloglion on a rotating basis, as well as at the Telloglou House. Go urban sailing in Thessaloniki on board this luxury hotel.